Want to keep your Hyundai sedan or SUV running at its full potential? Stay ahead of routine Hyundai maintenance and buy new Hyundai tires to ensure that your car is always running smoothly. 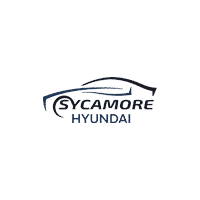 The Hyundai parts department at Sycamore Hyundai is here to help in these regards because our fully stocked parts center is filled with spark plugs, tires, brake pads, and more. Find the exact OEM Hyundai parts you need, whether you’re servicing your vehicle at our Hyundai dealership near Rockford, IL, or you’re looking to buy parts for DIY car repairs. Whatever you require, the Hyundai parts department is here to serve you. If we don’t have what you’re looking for, don’t worry — we’ll order it right away and have it delivered to our Illinois parts center as soon as possible!